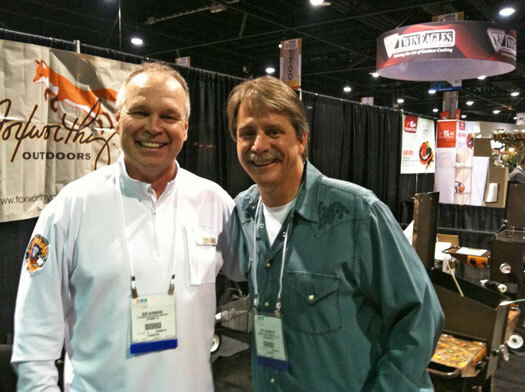 BBQ Bob worked the HPBA Show in Atlanta last week with world famous Jeff Foxworthy in Jeff’s newest business venture, Foxworthy Outdoors. Jeff is the national spokesman for the Timber Ridge Company from Tennessee. Timber Ridge makes patio deep fryers that are self contained and apparently Jeff has a truck load of these things at his home and cabin. Bob is also working with Foxworthy Outdoors in a national marketing campaign that promotes Timber Ridge.